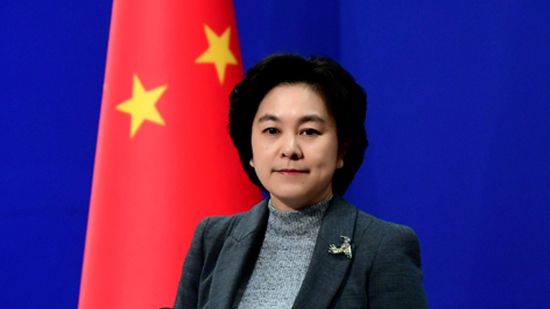 Chinese Foreign Ministry Spokeswoman Hua Chunying says Tehran-Beijing ties are 'clear, transparent, legitimate, and legal', so must be respected. Addressing a news conference on Tuesday, Hua Chunying said Chinese government believes it is protecting the legal rights and interests of Chinese companies. She said Beijing wants to play a 'constructive and positive' role, thus contributing to stabilization of global energy market. To a question on Beijing's position on the US' sanctions against Iran, the spokeswoman for the Chinese Foreign Ministry on Monday stressed opposition to unilateral sanctions against Iran and said the ties between Tehran and Beijing would continue. China is largest purchaser of Iran's oil and one of eight countries exempted from the US sanctions. India, Japan, South Korea, Taiwan, Greece, Italy and Turkey, as other countries exempted from sanctions, continue to buy oil from Iran.